Ratio and Proportion are two expressions which we learn in basic mathematics classes. A lot of students are seen confused between the two terms because of how these work. In this article, we will share the difference between ratio and proportion while giving basic examples. You will learn the definitions, examples, and applications of these two terms in practical aspects of life as well. Being done with that, we shall begin. The ratio is basically an expression used in mathematics which does the quantitative comparison of two categories or quantities. For example, when the number of men and women in a city are compared. Here, men and women are two different categories and the difference in their number is represented by ratios. So out of a total population of 100, if there are 60 men and 40 women, these are the ratios which will be written down. 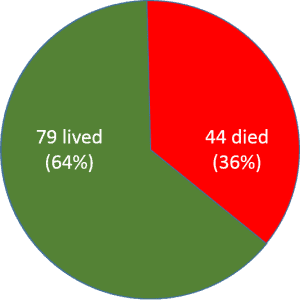 The ratios are indicated by the symbol ‘:’. When two quantities are compared with the help of ratios, it is important for the units to be the same. While taking the ratio of two numbers, they must be divided with the same number at the same time. When the number is able to divide with the same number to their smallest ratio, it means that they have the same units. The first term of the ratios is called an antecedent while the second term is called consequent. 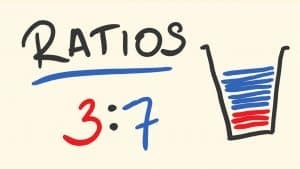 While the ratio is an expression, a proportion is an equation which is also used to compare a quantity but unlike ratios, it compares a single quantity to a whole. Again, take the example of a city’s population where proportions will be used to count only men out of the total population or only women out of the total. Unlike ratios, men and women which are in two different categories, wouldn’t be compared. Proportion is a mathematical concept, which states the equality of two ratios or fractions. It refers to some a category over the total. When two sets of numbers, increase or decrease in the same ratio, they are said to be directly proportional to each other. Take the example of a bunch of flowers containing red and blue flowers. In this bunch, we will use proportions to count either blue or red flowers. For example, if the total number of flowers are 6 and let say that there are 4 red flowers and 2 blue in the bunch, we will say that 2 out of 6 flowers are blue. 2 out of 6 is the proportion of blue flowers. Proportion is an equation while the ratio is a mathematical expression. Proportion is denoted by ‘=’ sign or four dots while the ratio is denoted by a colon ‘:’. Two categories with same units are compared with ratios while proportion compares a quantity to its total. So these were the major differences between two mathematical concepts called ratios and proportions. To learn more, keep visiting our website.